Here is another great opportunity for the jobinassam readers. www.jobinassam.in has bring Assam Secretariat Recruitment 2017 for Computer Operator Jobs August 2017 news for you. Assam Secretariat has published a recruitment notice for the Graduate candidates in Assam. 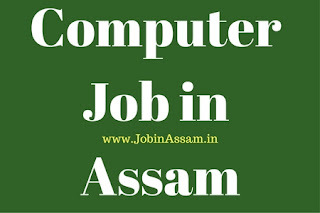 There are vacant posts for Computer Operator Jobs job in Assam. If you are interested in Assam Secretariat job August 2017 Government of Assam, read this post to the end. Last Date for this job application is 19/09/2017. Assam Secretariat Department invites applications from the eligible candidates to recruit in the following posts. You can view the details of eligibility criteria and other important things below. Total vacancy for this recruitment is 167 Nos. 18 to 43 years of age on the 1st day of January, 2017. The upper age limit is relaxable by 5 years for SC and ST candidates. The age limit of the candidates will be calculated on the basis of the Matriculation/ HSLC Admit Card/ Certificate issued by a recognized Board/ Council and no other document shall be accepted in lieu thereof for the purpose. The minimum educational qualification of the candidates shall be a graduate in Arts, Science or Commerce from a University recognized by the State Government or a degree equivalent thereto and recognized by the Government. The candidates must also possess a minimum 6 (six) months Diploma/ Certificate in Computer proficiency from a recognized Institute. These posts are advertised by sad.assam.gov.in to recruit eligible candidates for their department. You can apply for the post if you have the eligibility mentioned above. Process of Application- Application process for this Computer Operator Jobs in Assam is online. Candidates are required to apply in prescribed form through online mode only w.e.f.21.08.2017 to 19.09.2017 (midnight). No other mode for submission of application is allowed. Instructions for filling up prescribed online form will be available on website given below. You should apply online for these posts on www.recruitmentaim.in. General : Rs.250.00 (Rupees two hundred fifty) only. SC/ST/OBC : Rs.150.00 (Rupees one hundred fifty) only. Last Date to Apply- 19th September 2017. Download the official advertisement from this link. Candidates whose applications are accepted will be required to appear in a competitive examination to be held at examination zone mentioned below on the date to be notified later on. The examination will be of 100 marks with Multiple Choice Questions (MCQ) for 2 hours duration to be administered through OMR Sheets. Against each vacancy four candidates will be short listed on the basis of the marks obtained in the written test. The short listed candidates shall have to appear in the Computer Proficiency Practical Test to be held centrally in Guwahati alongwith original testimonials including original copy of Treasury Challan. The total marks for the Computer Proficiency Practical Test will be 100 marks. Silchar, Diphu, Haflong, Dibrughar, Jorhat, Majuli, Nagaon, Lakhimpur, Tezpur, Mangaldai, Guwahati, Nalbari, Bongaigaon, Kokrajhar and Dhubri. Exam Dates- Dates will be declared soon. I have shared all the important knowledge for the upcoming Assam Secretariat Recruitment here. In www.jobinassam you will always get the clear picture of any Latest Job News Assam. 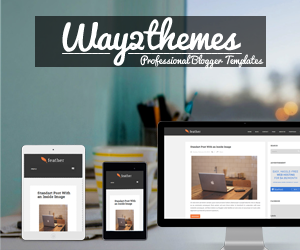 This is completely free service for you. Computer job will be a good job for you if you are eligible for the post mentioned above, apply before the last date. Moreover, monthly pay for this job in Assam is also good.